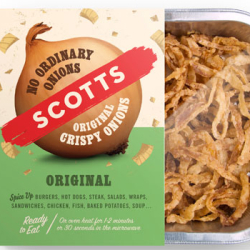 Made with fresh onion, Scotts Crispy Onions, are a fast, hassle free way for you to add a ‘restaurant’ style topping or side to your meals and snacks at home. 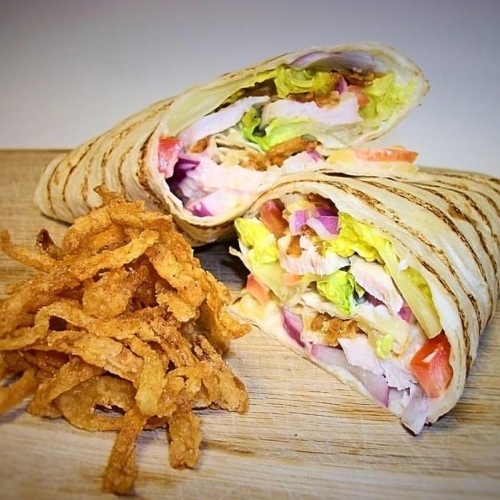 Ready in as little as 30 seconds, and with 5 mouthwatering flavours to choose from, the only hard part will be deciding what’s your favourite flavour! 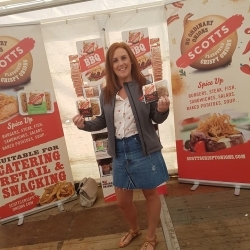 And from April 2017 you can enjoy Scotts Crispy Onions anytime, with the launch of the snack pack!Available at: Convenience stores, independent retailers and butchers, NI and ROI. 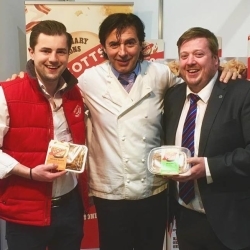 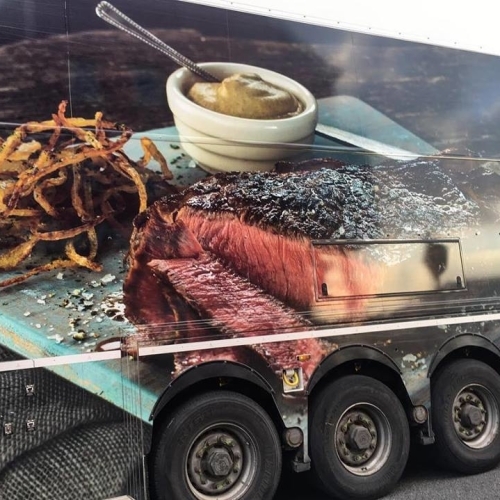 Produced under own brand for Supervalu, Centra (ROI) and Primacy Farm Butchers. Available to order online via website.Includes: Crispy Onions 90g available in Original, Steak, Sweet Chilli, Smokey Bacon and Curry flavour. 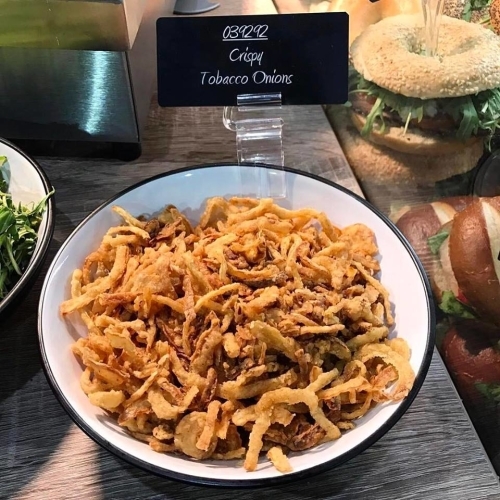 Original Crispy Onions 175g, 400g. Chinese Salt n Chilli Snack Pack 35g.